Don’t pray harder. Pray smarter! GOD WANTS HIS INTERCESSORS BACK! People have taken them. The enemy has taken them. Weariness has taken them, and He wants them back. 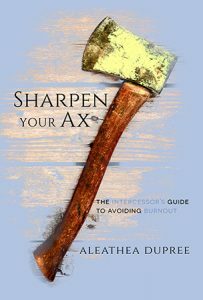 SHARPEN YOUR AX is an apostolic and prophetic clarion call to action for every intercessor. In it, you will find strategies revealed by God to refresh, regroup, and retrain His intercessors for what He wants to do next. As you employ these strategies, you will find wisdom that will bring success to your ministry of intercession and personal relief to you. Move your faith from “anemic” to aggressive and charge ahead! 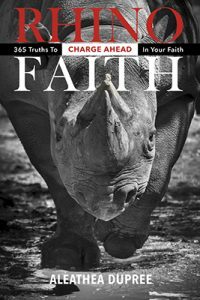 Rhino Faith guides you day by day and step by step through the exhausting terrain of your faith journey. You will no longer suffer from “anemic” faith that is weak, tires easily, and is deficient of what it needs to produce the results you desire. Instead, you will develop an aggressive faith that will charge ahead, overcome every obstacle, and bring fulfillment to the desires of your heart. Discover God’s #1 strategy for a happy divorce-proof marriage! Wives come with care instructions. The problem is, most men don’t know where to find them, or they don’t understand them. The result? Unhappy wives. Unhappy lives. God wants you to have a happy marriage, and He has provided a solution to the problem. Cheer Up Your Wife gives you the easy-to-read version of a wife’s care instructions and supplies all the tools you need to repair, build, or maintain a happy divorce-proof marriage! End frustration. Avoid regret. Understand why you’re still waiting. Though the Vision Tarry: Waiting for My Promised Mate addresses the frustration, anxiety, and hopelessness many feel while they’re waiting on God to fulfill a promise. This transparent and compelling memoir helps you understand why God makes you wait and serves as a powerful reminder that God is faithful to bring His promise to pass, no matter how long it takes. Not sure which books to choose? Let us help! Just point to/click on a description below and we’ll give you our best recommendations. Click the book image for more details and to purchase. 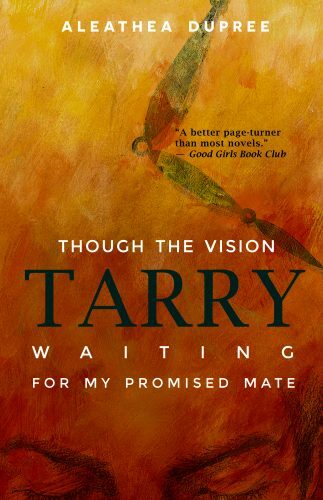 Though The Vision Tarry (Waiting For My Promised Mate), a cult favorite for singles since 2003. MOVE YOUR FAITH FROM “ANEMIC” TO AGGRESSIVE! You will no longer suffer from “anemic” faith that is weak, tires easily, and is deficient of what it needs to produce the results you desire. Instead, you will develop an aggressive faith that will charge ahead, pass every test, and bring fulfillment to the desires of your heart. Cheer Up Your Wife is an invaluable resource for singles preparing for marriage, marriages in trouble, newlyweds who want to establish the best foundation for their marriage, and good marriages that want to be the best they can be. No matter what condition your marriage is in, it can get better! God’s desire is for every marriage to be happy. He is aware of how painful divorce is and has provided the solution to the divorce problem. 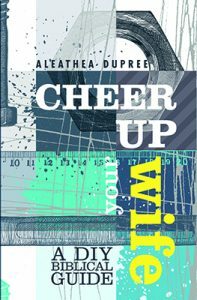 Cheer Up Your Wife reveals the foremost and critical underlying root problem that leads to divorce from God’s perspective, and shows you how to fix the problem or, better yet, to prevent it from ever happening.